Actually, every country has its own way of accessing their students according to the countries’ long-term and short-term goals and their curriculum. For a medical student to be allowed for admission have to have the foundation of medical subjects especially biology and chemistry and many countries will not allow for admission if the student has not at least (C) and this C is a mark between 45 up to 55. Also, the admission requirement for MBBS in China is quite low. Since there are a lot of students who doesn’t have any foundation of medical subjects like biology and chemistry and allowed to take MBBS in China. Not only that but also, the truth that can never be hidden that medical subjects are really difficult and need the bright students who can be challenging with these subjects while in the future these students are going to be very important people in a society where all eyes of people look on them. Also since China takes international students who come from different countries and speak different languages and knowing that the language they are going to use here is English. 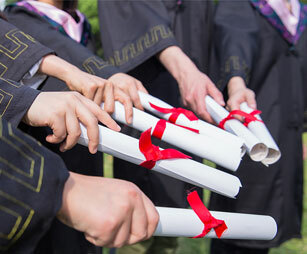 Lower admission requirement leads lower performance in class since many students who came in china have not reached the level of to be qualified to study, MBBS it leads for students to find themselves that they cannot compete with these subjects and some of them even don’t bother themselves on studying because of they can't. Admission office should have the details of each country that students come from, those countries requirements for a student to join to university especially MBBS to avoid those consequences of lower admission requirements and the good thing is when the students are qualified so they will raise the status of MBBS in China and to be valuable and respectable all over the world. Actually, China provides international students for lower admission requirements, but it depends on upon the student comes from which country since sometimes take students with other specialization come to study MBBS. While English also should be in consideration since it is the means of communication in studies.